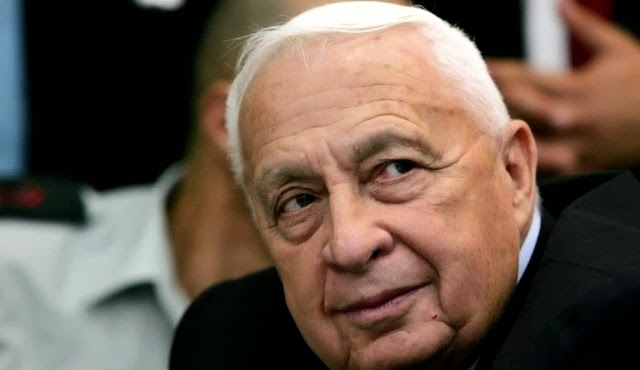 The director of the hospital where the comatosed Ariel Sharon is being treated says the former Israeli Prime Minister has "critical malfunction of some of his organs"
The director of the hospital where the comatose former Israeli Prime Minister Ariel Sharon is being treated said he was in critical condition and his life was in danger. Professor Zeev Rotstein of Tel Hashomer Hospital said today that there was "some critical malfunction of some of his organs, including his kidneys". "He is getting the regular treatment which includes of course all the support that is needed, including antibiotics in case that the problem is a kind of infection," said Professor Rotstein. The 85-year-old Sharon has been in a coma since 2006 when a devastating stroke incapacitated him at the height of his political power. Mr Sharon was one of Israel's most iconic and controversial figures. A prominent hard-line voice over the decades, he was elected prime minister in 2001. In 2005 he directed a unilateral withdrawal of Israeli troops and settlers from Gaza, ending 38-years of military control of the territory. It was a sharp turnaround for a man who had been a leading player in building Jewish settlements in Palestinian territories. Mr Sharon appeared on his way to an easy re-election when he suffered the stroke in January 2006. His deputy, Ehud Olmert, took over and was elected prime minister a few months later.